There are patents and then there are patents, and there is a vast gulf between the two. There are patents that are useful and there are patents that are best described as ornamental. The first brings in revenue through licensing fees, while the other is something that merely looks good on a scientist’s curriculum vitae. That is what the Council of Scientific and Industrial Research (CSIR) recently told its 18,000-odd scientists. Behave responsibly on patents and cut out the fluff, said Director-General Girish Sahni in a cut and dried letter he sent out to the 38 laboratories that come under the CSIR umbrella. The fluff is what are termed "biodata patents", good to embellish a scientist’s profile and of no use otherwise. It is possibly the first time that such a message has gone out to public sector scientists. 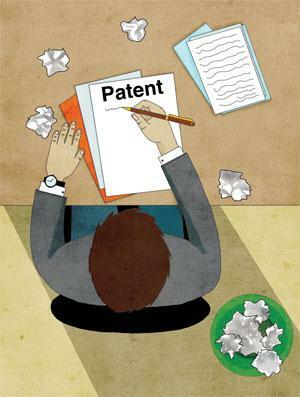 In the patent fever that has been sweeping the country in the past decade, the focus has been to get scientists to "understand" the importance of intellectual property rights (IPRs), and to encourage them to patent at the slightest excuse. While CSIR has had a much longer history of promoting IPRs, it was practically a virgin exercise at the Indian Council of Agricultural Research (ICAR) which some years ago, had set up a special division under an assistant director-general to foster the drive for patents. This had some unexpected results: scientists were even permitted to patent recipes (see ‘ICAR chases patents for pickle’, Down To Earth, 16-30 September, 2014). CSIR boasts the largest portfolio of patents among public-funded research institutions in the country—as it should since its labs work on a vast gamut of research, from chemicals to nanotechnology and from pharmaceuticals to space physics. Its record on licensing is also said to be creditable. A study conducted in 2012 by SpicyIP, a website dedicated to IPR matters, gave an astonishing percentage of licensing of its patents at 21.3 per cent. This was calculated on the basis of the 454 licensing deals—the website reduced it to 400 to cut out duplication of deals—which CSIR had claimed from its active patent list of 1,872. However, just a month after the SpicyIP study, a press release issued by the minister of Science and Technology said that CSIR had licensed just nine percent of its patents. Obviously, not all is well with CSIR’s management of IPR, as Sahni’s missive reveals. Patents are being “filed for the sake of filing without any techno-commercial and legal evaluation” and the majority are just “biodata patents”. What has also riled him is the ad hoc and illogical choice of countries for staking the patent claims. A scrutiny of the list of patents held by CSIR in 2013—I was unable to locate anything more up-to-date—does show a curious penchant for the oddest of countries where CSIR scientists have filed claims. Here is a small sample: Croatia, Azerbaijan, Kyrgyzstan, Uganda and Egypt. “Individual scientists are using them (patents) for getting promotions and labs are playing a numbers game. Once the patent is granted, neither the scientist nor the lab bothers about it. There is no serious attempt to find licensees nor is there a review system to periodically look at the patent portfolio,” reads Sahni’s letter. The Director-General was heading CSIR’s Institute of Microbial Technology before he was promoted and is, perhaps, accustomed to seeing better returns on patents. The letter is scathing about the lack of due diligence leading to waste of fees that run into crores of rupees. To show that it means business, CSIR is ending the free run. Hereafter, labs will fork out just 25-50 per cent of the cost of filing and maintaining patents. However, if the labs are able to license their IPRs, CSIR will provide a matching grant. In short, no returns no funding.